Asthma is one of the most common respiratory (breathing) conditions and it can affect anyone, at any age. In fact, it is likely that we all know someone who suffers from asthma. Sufferers are of all different ages and genders, and experience asthma to different severities! Asthma usually starts in childhood and often runs in families. People who suffer from asthma might often find that they also suffer from eczema and hay fever as well – this is known as the Atopic Triad. For many, asthma is a life-long condition. However, if it is well controlled, it doesn’t cause regular problems and you can live your life normally. But, if you asthma is uncontrolled, it can result in many visits to your doctors surgery, hospitalisations and missed time off of work or school – which can affect your quality of life significantly. At the moment, the causes of asthma are not totally clear, but certain factors are known to be involved. If you experience these symptoms after exposure to one of the common asthma triggers, or find that it takes you an unusually long time to shake off a cold or flu, it might be more likely that you have asthma. This tests your lung function (the ability of your lungs to work well), both before and after a reliever (in the form of an inhaler). This measures your ability to breath out air, by calculating the speed at which you can expire (breathe out). Both of these tests are simple and painless, but can be very important in helping to clarify what is wrong with you. Being diagnosed with a condition like asthma can be frightening, but there is a lot you can do to ensure you keep control of your condition and keep your symptoms from affecting your life. There are two main types of medication available; these are broadly classed into controllers and relievers. Relievers are medications that you breathe in to relax the muscles around the airways, making it easier to breathe. You should use these types of medications if your symptoms are troubling, or if you are having an asthma attack. Remember to always carry your reliever inhaler with you. You might need this “rescue” inhaler before coming into contact with a known trigger, or if your symptoms unexpectedly start, and they act really quickly to help you to feel better. You will use your controller inhaler every day, even if you feel well. One of these can be a medication called a corticosteroid, which reduces swelling in your airways and prevents your symptoms from happening. Sometimes, controller medications may be combined in an inhaler with reliever medications. These are called combination inhalers, and receiving a dose of each type of medication at once helps you to keep your asthma under control. 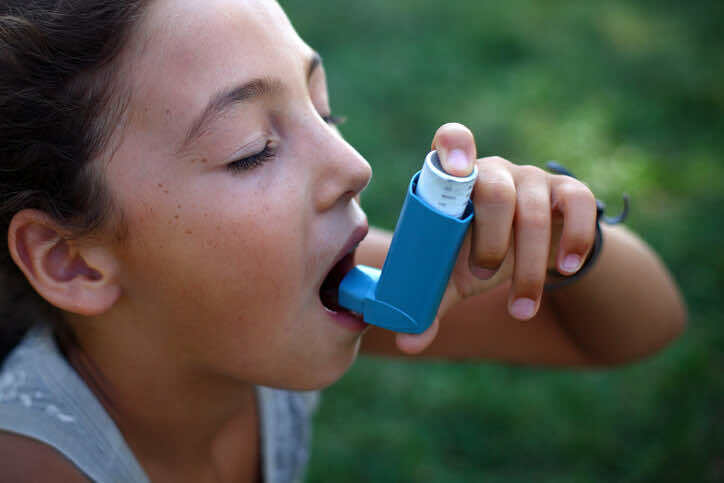 Leukotriene Receptor Antagonists or LTRAs help control your asthma by stopping the chemicals responsible for airway narrowing and inflammation. They are usually given as well as your reliever and controller inhalers, and taken as a tablet. Theophylline tablets widen your airways and reduce inflammation. If you take these, your Doctor will want to check your blood to ensure that the theophylline is at an acceptable level in your system. Being diagnosed with any breathing condition can be scary, but it is possible to manage and control how much it affects your life by educating yourself, taking a responsible approach to medication, and finding support. Our private doctors at LDC can help you with these aspects of management, and you should book a GP consultation if you are finding it difficult to control your asthma. In doing so, you can effectively control the condition and look forward to a long and healthy life, largely untroubled by asthma symptoms. We now have nine private clinics located across central London, so should never be too far away when you are in search of a “GP near me“.